One of the reasons that I live in Northern California is the weather. San Francisco’s weather is inconsistent, but temperate. Most importantly, we don’t have winter. We don’t have a winter like back home in Pittsburgh. At home, the temperatures drop below freezing, and the snow piles up so high that our dog can barely walk through it. That weather isn’t for me. I’m already dreading every walk from the house to the car. I may not like winter, but many attractive destinations are cold. Traveling in the shoulder season or off-season, when a country’s weather may be colder, is also a great way to save money. 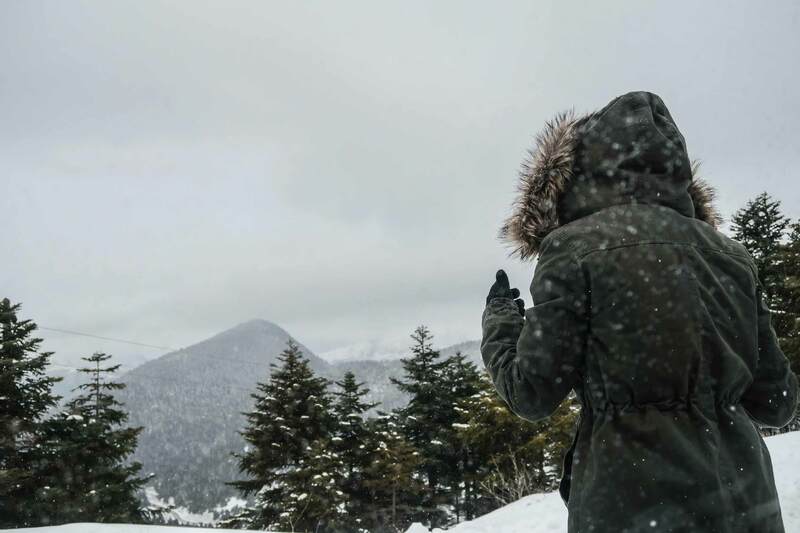 If cold weather travel is inevitable, what do you pack? And how do you pack it in just a carry on bag? All those layers and sweaters and coats take up a lot of space. Let’s start with two basic principles then cover the details. First, pack in layers, not bulk. Heavy sweaters and sweatshirts eat up a ton of space in your luggage. Dress in thinner, insulating layers. The individual layers will take up less space in your bag and give you more clothing options. Jeremy discussed this strategy at length in his article on packing for an around-the-world trip. Second, when picking clothes, wear wool. Wool is natural and versatile. A wool layer will help regulate your body temperature in any weather. If the temperature heats up, you can still wear a thin wool shirt. It will help keep you cool. If you had packed a heavy sweater, it would be sitting uselessly in your bag. If you follow these rules, you’ll be able to pack for a cold weather trip in a carry on. Yes, even with a bulky parka and snow boots. Remember: wear, don’t pack them. Of course the bag you choose is important. The Outbreaker 45 is perfect for a cold weather trip. Because it’s the maximum allowable carry on size there is plenty of room for bigger, bulkier winter clothing. Despite being thin, a good base layer can add as much warmth as a bulky sweater. Paired with a shirt or pants, a base layer will insulate you from the cold without adding much volume to your luggage. Base layer shirts can be short or long-sleeved, deepening on how cold your destination will be and what works best with your wardrobe. You can wear a short-sleeved layer under a button down shirt or hide a long-sleeved layer under a blouse. A base layer shirt is the first thing you should pack when traveling to a cold climate. 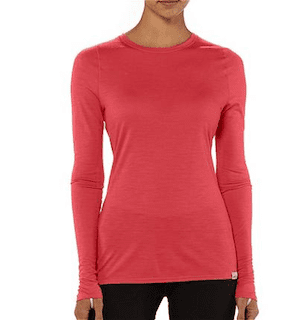 Merino wool is the ideal fabric for a base layer but can be very expensive. For longer winter trips, invest in one wool base layer and supplement it with cheaper, polyester ones. 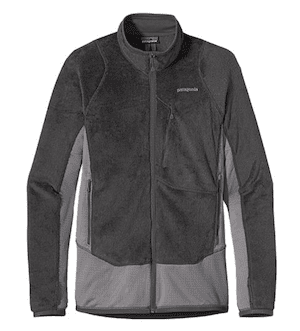 For wool base layers, I recommend Patagonia or Icebreaker. Both are expensive (up to $90 for a long-sleeved shirt) but very high quality. For a cheaper option, check out Under Armour Cold Gear. Under Armour’s layers are made of polyester, hence the cheaper price. Designed for athletes playing in cold weather, an Under Armour layer will do a decent job of keeping you warm. Socks can be tricky. In cold weather, you want big thick socks to keep your toes warm. But you don’t want to use half of your packing space on socks. The best compromise is to choose thinner socks that can still keep you warm. They will take up less space in your bag and dry faster. The latter is important so that you can hand wash them every few days. By hand washing your socks, you can wear them again between laundry cycles and avoid packing seven to ten pairs. When space is a concern, I pack three pairs of socks or less. 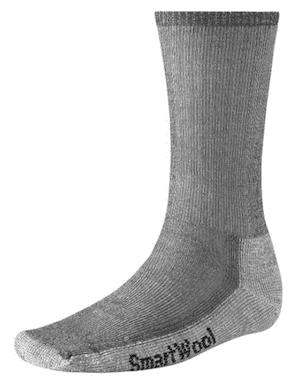 My favorite brand, as previously mentioned on the blog, is Smartwool. Smartwool hiking socks are thinner than most winter socks, made of wool to keep you warm, and reinforced in all the right spots to stay snug and not slouch. Wigwam socks are also good and made in the USA. Both brands are expensive but durable. With your socks taken care of, let’s focus on shoes. In other words, no leather-soled shoes in inclement weather. You can read more about which brands of boots will keep you the warmest at the link in the last paragraph. Whether you wear boots or shoes, choose footwear that will be comfortable for whatever activities you’ll be enjoying on your trip. Of course, boots are often the warmest choice. Hiking boots are great if you’ll be doing a lot of walking or hiking. Blundstone, an Australian brand, have a line of insulated boots and are highly recommended by travel writer Rolf Potts. For day-to-day wear, I have a pair of Clarks Desert Boots. They aren’t ideal on ice but are fine for the two wintry weeks per year I spend in western Pennsylvania. Regardless of your choice of shoes, never pack your boots. Always wear them while in transit. Even a compact pair of boots will take up one third of your carry on luggage. Wear, don’t pack, your bulkiest items. The same rule applies to coats and jackets. Wear, don’t pack them. If you’re hot on the plane, just stuff your jacket in the overhead bin or under the seat in front of you or use it as a pillow. By dressing in layers as described earlier, you can stay warm without wearing an enormous coat. My warmest coat is a vintage US Navy peacoat. It’s tough and warm but absurdly heavy. I love it but would never travel with it. Instead, I wear a Patagonia R2 fleece jacket. The style I have was discontinued, but you can find comparable gear in Patagonia’s Regulator line for men or women. North Face and other outdoor brands also make jackets with a high warmth to weight ratio. If you’re unsure what to buy, stop at a local outdoors store and tell them that you want something as warm but light as possible. For the coldest climates, you’ll need accessories like gloves, a scarf, and a hat. Don’t pack these in your luggage. Stuff them in your jacket to conserve space in your luggage without sweating through your flight. For cold weather accessories, go with wool. I like to shop at L.L. Bean for high-quality commodities like these. They sell ragg wool gloves and hats for under $30 each. Most of the brands mentioned earlier, like Smartwool, also make accessories. Buying everything listed above would be prohibitively expensive. I don’t recommend it. The items listed above are the ideal. Look at your current wardrobe, find the weak points, and invest in high-quality pieces that you can wear for years. A warm base layer and good socks are a great place to start. I will be wearing my Patagonia fleece for years to come. My strategy when buying new gear is to buy either the best or the cheapest depending on how important it is and my budget. If you won’t use your cold-weather gear again after your trip, buy cheap versions of the above and sell or donate them when you get home. If you will be taking many similar trips, invest in one new item each trip. You’ll slowly build up an arsenal of cold-weather gear without bankrupting yourself. Now it’s your turn. What do you pack for winter trips? What are your favorite brands? Let us know in the comments. You can read more packing advice here.